Three Windows. Do you recognize the three Basic Black panels I used in this card? After embossing the floating eyeballs from Freaky Friends, a stamp set in the upcoming Holiday Catalog, I cropped the panels with my Project Life Cards & Labels Framelits. What a great collection of Framelits that can be used for so many projects. Angled Eyes. 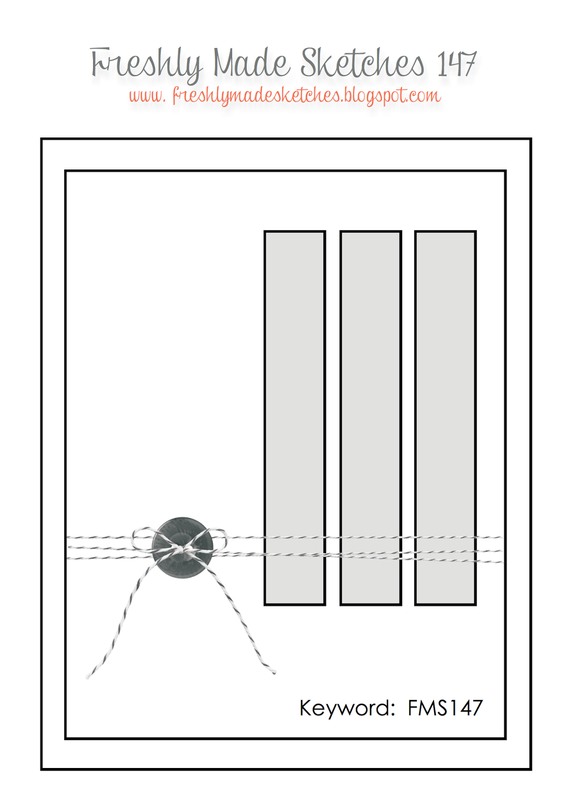 Rather than to have the floating eyeballs line up along the three panels, I decided to position them at an angle – still floating but angling down from the center of the card. The Crushed Curry Stampin’ Emboss Powder really pops against the Basic Black background, don’t you think? New Items. This card features a lot of products that are new to the Annual Catalog and some products that will be available in the Holiday Catalog. From the Annual Catalog, I’ve used the Project Life Framelits (mentioned in the first bullet point), Crushed Curry Stampin’ Emboss Powder (mentioned in the second bullet point) and Basic Black Baker’s Twine. From the upcoming Holiday Catalog, I’ve used three new stamp sets – Mingle All the Way, Freaky Friends and Holiday Invitation. What a great and fun card!! Oh, this is truly freaking awesome!!! I just can’t wait for the Holiday catty to get here!! Please hurry!!!!! What a deliciously spooky card, I love those scary eyes looking at me, they seem to follow…..sheeesh!! Love it Brian, thank you for sharing. Oooo how cute Brian That’s my fav time of the year !! I love SPOOKIE !!! Love this card, Brian. I might have to CASE it!!! Thanks for all your inspiration. I absolutely love this card Brian! By turning it horizontally I think you got a lot more balance out of the design. I really love the way you used your markers to color the saying before stamping. Just that little touch sure does make a huge difference. Of course the ultra clean look of this card is what makes the elements so very effective. I can’t wait to see all the goodies in the new catalog. Have yourself a super special Sunday. Frightfully cute! You really rocked this sketch! Very super card. A great one. I love it. Adorable….you once again made me smile from ear to ear! very cute idea, great take on the sketch. Great card Brian! My favorite holiday for card making is Halloween. As always, your lessons and detailed instructions are much appreciated. I learn so much from you! THANKS! Cassie Z. Thanks, Brian, for such a cute Halloween card! I make cards for Ronald McDonald House so I am already thinking of Halloween ideas. I am making this one for sure! I am a huge fan of your work (live in Canada, though) so thanks for all your inspiration! This is such a fun card, I love the sentiment. Great job Brian. I love that saying stamp and how you paired it with eye windows is so cool. Awesome card! I love it – fab fun Halloween card Brian! Those eyes are great!! Very fun, Brian! I can’t wait for the holiday catalog!! Very cute, and as always, thanks for the inspiration Brian. As always, you are so clever. You never cease to amaze me with your great ideas. I actually utilized your tutorial on layering paper on my cards yesterday. I really changed up my borders from the usual 1/4″ I always seem to use. You really opened my eyes. Fabulous card, love the eyes. Oh My Gosh Brian!!!!!!! How great are these eyes?! They are totally fantastic! Oh my gosh, Brian! This card is so cool! Love how you did the eyes in the panels (and how you used the framelits for the panels)! Awesome card! Thanks for sharing with us at Freshly Made Sketches! By the way, please do not ever get abducted by aliens. Congrats on your win! I LOVE this card! Halloween is the best! SOOO fun!